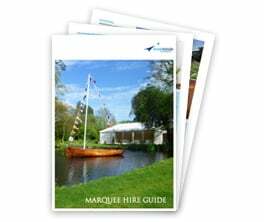 We offer a complete, respectful and discreet service designed to take the stress out of marquee hire for funerals and wakes. We have vast experience in organising marquees for funerals and wakes and understand just how important these occasions are. We pride ourselves on delivering respectful, high levels of customer service from the first phone call onward. Arranging a funeral or wake for a family member or friend can be difficult and emotionally taxing. Being caught up in complicated logistical arrangements with a variety of suppliers is probably the last thing that you want or need – That’s why we offer our clients a comprehensive stress free service . As well as supplying your marquee we can arrange a variety of other elements such as furniture, lighting, heating and flooring. In addition, we can put you in touch with a range of other suppliers such as caterers and florists, all from our comprehensive network of trusted partners. We’ll also liaise with your suppliers and make all of the arrangements to ensure a smooth and stress free experience that lets you focus on the more important elements of the day – spending time with your loved ones. Contact us by email or call our team on 01372 459485 to find out how we can help you.